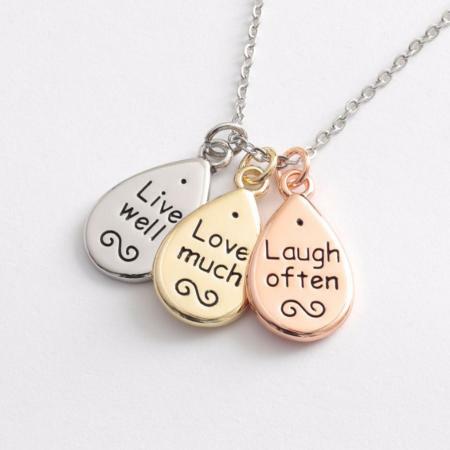 A beautiful tri tone charm necklace featuring gold, silver and rose gold droplets engraved with the words: "Live well, love much, laugh often". 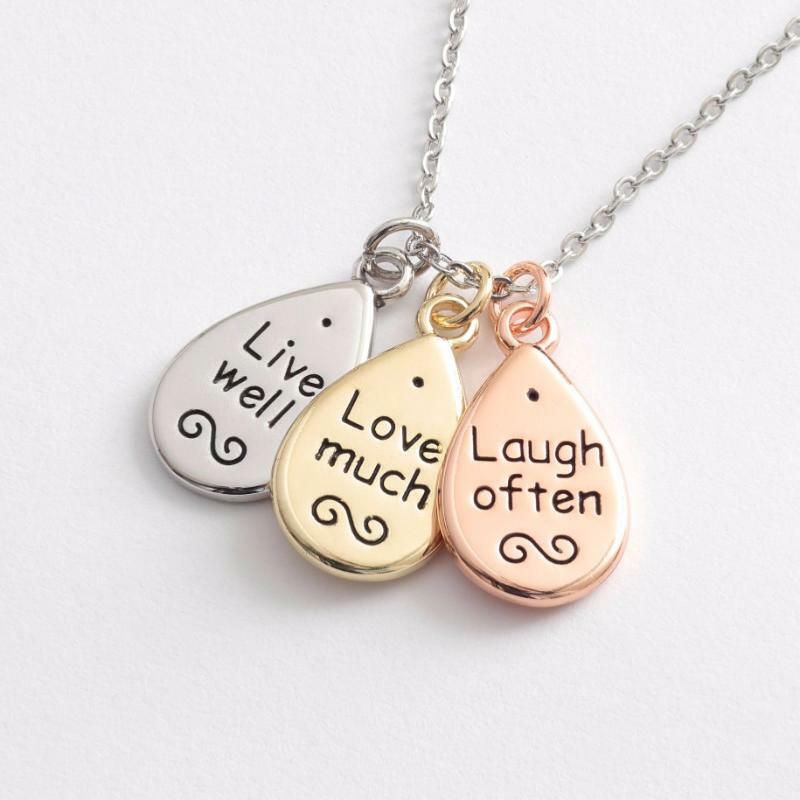 A fabulous gift idea for a friend or loved one. The chain is 16” length with a 2” extension chain .